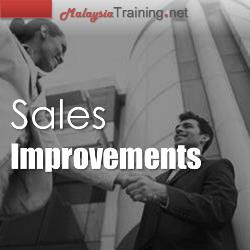 Sales Managers, Marketing Managers, Sales and Marketing Executives, Supervisors and Customer Service Support. Register before 12 Jun 2017 for only RM2,500 per person. RM2,500 per person for group registration of 3 paxs or more. Pay before 19 Jun 2017 for only RM2,500 per person. Influencing is an art. More so when applied primarily to market and sell a product or service. It means having the ability to convey in a very clear, concise and convincing way to a prospect how and why a product or service offered meets their needs. Doing this calls for a repertoire of skill sets that are essentially a combination of engaging the team on a strategy, critically thinking through that strategy and being able to apply that strategy to the right target. From a sales and marketing perspective, navigating through a rapidly changing business environment requires the development of a strategy that is results focused and at the same time adaptable. This calls for careful, critical thinking. Creative, critical thinking means to think differently and unconventionally. It implies the existence of a propensity to be engage in thinking that defies conventional practice and an ability to form a new perspective in identifying problems and seeking novel solutions when dealing with sales prospects. What is required is not only to think critically but also to target the right prospects and adapt the selling and marketing technique to suit their specific needs. This requires communication and reasoning skills, observation and non verbal communication skills, active listening skills and probing skills. Theses skill sets combined will enable one to effectively influence a sales target and build the confidence and trust needed to maintain a long term relationship. This training program has been designed to introduce participants to the concept of influencing skills designed primarily on thinking that is required to solve complex problems and developing interpersonal skills needed to influence sales prospects. It starts with the premise that everyone is a habitual, conventional thinker and then encourages the participants to expand the thinking horizon beyond conventional thinking through a series of games and activities. This training program has been designed to inculcate sales and marketing strategy development and potential sales targets analysis techniques using very well structured analytical skills. The influencing techniques as well as analytical skills approach shall be introduced through case studies designed to suit the organizational requirements. Such an approach is aimed to facilitate the application of influencing techniques in practice using well defined and easy to apply tools in a work based setting.